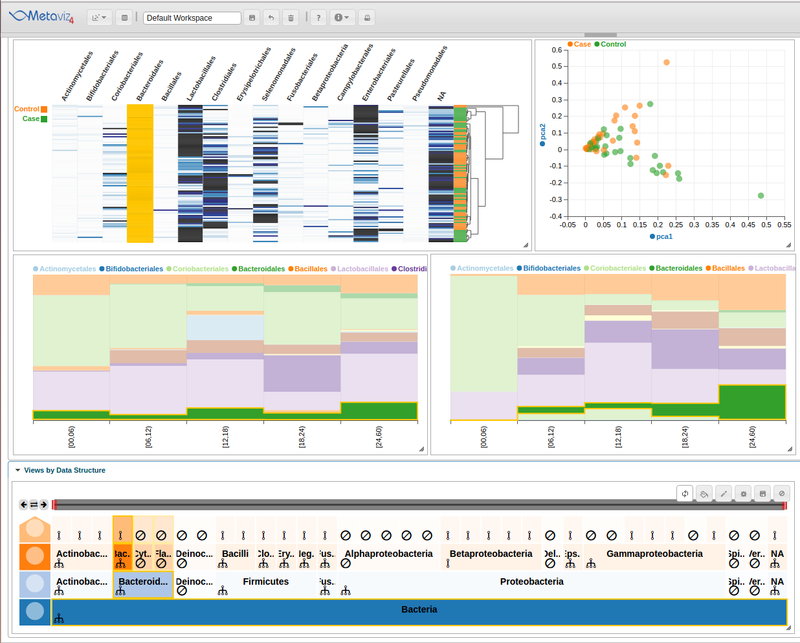 Metaviz is a tool for interactive visualization and exploration of metagenomic sequencing data. Metaviz provides a novel navigation tool for exploring hierarchical feature data that is coupled with multiple data visualizations including heatmaps, stacked bar charts, and scatter plots. Metaviz supports a flexible plugin framework so users can add new d3 visualizations. A manuscript that describes the Metaviz application and details visual analysis results is available at https://doi.org/10.1093/nar/gky136. Epiviz is an interactive visualization tool for functional genomics data.